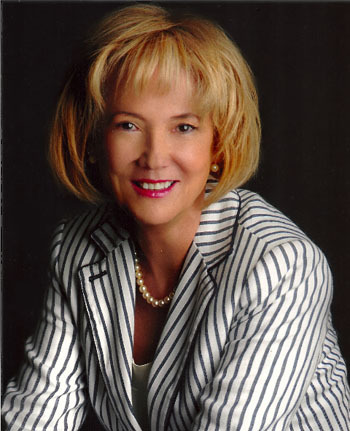 IRINA DUNN is the Director of the ID Editing and Publishing Consultancy, which provides services for individual authors seeking help with their publishing projects. She is also Director of the Australian Writers' Network, with an e-newsletter called Network News that has 11,700+ subscribers, and Director of ID Consultancy, which provides teaching and educational resources for migrants and refugees. Irina has a wealth of experience in the field of publishing and editing. See Testimonials. Irina authored The Writer’s Guide: a companion to writing for pleasure or publication, Allen & Unwin 2002 (2nd ed), which was shortlisted for the Australian Publishers’ Association National Education Awards. Irina worked closely with numerous writers and publishers for 15 years as the Director of the NSW Writers' Centre and guided the organisation to become a thriving institution with a record membership. As Manager of the Australian Writers’ Guild Authorship Collecting Society, Irina collected royalties from overseas collecting societies for distribution to Australian screenwriters. She secured contracts with 12 new societies in record time. As Managing Editor of Booktopia, Australia’s largest online bookstore, she gained experience in the competitive world of bookselling. In 2008, Irina initiated the Australian Writers' Network, which produces a regular literary e-newsletter and has 10,000+ subscribers around Australia and internationally. To subscribe to the newsletter, send an email toidunn1703@gmail.com with "Subscribe" in the subject field. She has chaired sessions and given talks and seminars at many writers' festivals nationally and internationally, including the Ubud, Sydney, Byron Bay, Darwin, Norfolk Island, Bellingen, Gloucester and Woollahra Council writers’ festivals, as well as at many other venues such as local libraries. Irina has an Honours Degree in English Literature and Language from the University of Sydney, and a Graduate Diploma in Russian from Macquarie University. She has been a tutor at the Sydney University English Department, a TAFE teacher and a Senior Lecturer in the Ecosystems Management Department at the University of New England. A lover of music with qualifications from the Sydney Conservatorium, Irina has been writing opera and theatre reviews for the Inner West Courier and the Alternative Media Group since 1996. Irina's award-winning film Fighting for Peace, about the Australian women's peace movement, received critical acclaim at the San Francisco International Film and Video Festival. Her documentary about the controversial Ananda Marga case, Frame-up: Who Bombed the Hilton, Who Didn't?, helped to secure an inquiry into the case which led to the three accused being freed and pardoned. As an experienced scientific editor, she has worked for state and federal government agencies responsible for the Australian environment. With two scientists, she co-authored and co-edited the book A Natural Legacy: Ecology in Australia, which won the Royal Australian Zoological Society Prize for best text on the subject. Irina was born in Shanghai, China and is of Russian, Irish, Portuguese and Chinese descent. In Australia, she represented NSW as an Independent Senator from 1988 to 1990. Contact IRINA DUNN at irinadid@ozemail.com.au or mobile 0403 486 363.